Check out the many programs already giving back to Veritas Academy and find out more information on how to participate. These are simple and automatic ways for you to support Veritas every time you shop, at no cost to you. 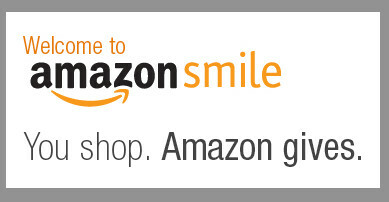 When you shop at smile.amazon.com, you’ll find the exact same low prices, vast selection and convenient shopping experience as Amazon.com, with the added bonus that Amazon will donate a portion of the purchase price to Veritas. Mightynest gives you lots of options for healthy everyday items. When you shop at MightyNest.com, 15% of your purchases go to Veritas. Choose from hand-picked household essentials that are better for their health and the planet. There are products for active, healthy families including kitchen items, lunch gear, toys, baby products, cleaning supplies and personal care products. For more information, sign up for the Healthy Living Newsletter to on our fundraising page. The Healthy Living Newsletter contains tips, advice and products to support a Mighty Life. Education is the foundation to a brighter future. Give 5% back to your school! Simply make a purchase of qualifying school supplies, provide your school ID: 70212507 at checkout, and Veritas Academy will receive 5% back in credits for FREE supplies! It's a small act that can make a huge difference. 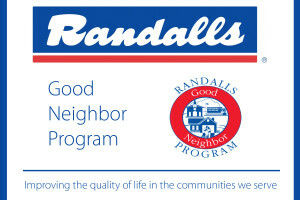 Help support Veritas Academy with the Randalls Remarkable card when grocery shopping. Randalls lists Veritas Academy as an approved charity, which allows the grocery store to donate a portion of its profits to us. Just print out and complete the Remarkable Application and fill in Veritas Academy’s charity number “11399.” Please return the form to a Randalls courtesy booth, or send it to Veritas Academy, PO Box 90517, Austin TX 78709. Go to the Good Neighbor Page for more information on this program. At Westbank Cleaners you may select Veritas as the beneficiary and 3% of your purchases will go to Veritas! There are 8 locations in Austin and the nearest location to our campus is at William Cannon and Mo Pac Expy. Additionally they offer free delivery for home and office pick up and drop off. Simply tell the customer service rep at your store that you want to designate Veritas for your account for Project School Bell. Visit the Westbank Dry Cleaning website for more information.